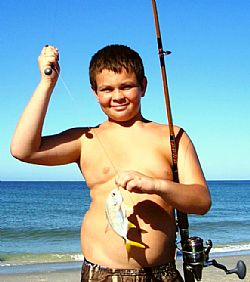 SARASOTA COUNTY – Sarasota County Parks, Recreation and Natural Resources is happy to announce the return of the Nokomis Beach Youth Fishing Tournament, now entering its ninth year. The event is aimed at children 14 and under, with an entry fee of $1 per child and required parental supervision. You must bring your own fishing rod and reel, but bait is provided. Raffle prizes, refreshments and awards will follow the catch-and-release tournament. Pre-registration is preferred by calling Laurel Park at 941-486-2753, but registration will also be available the morning of the tournament from 8-8:30 a.m. WHEN: Saturday, May 16, 8:30-10:30 a.m.
For more information about the fishing tournament call the Sarasota County Contact Center at 941-861-5000 or visit http://www.scgov.net.